The Spee Club is one of Harvard's final clubs. The group officially became gender neutral in November 2015, when it inducted its first class of men and women. UPDATED: May 10, 2018 at 5:26 p.m.
Harvard could deny recognition—and exemption from the College’s sanctions—to student social groups whose graduate boards it determines exert too much sway over the organizations, according to a new plan released Thursday and an interview with administrators Wednesday. Dean of Students Katherine G. O’Dair announced the six-page plan in an email sent to students Thursday. 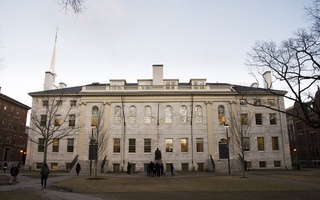 The document outlines the system the College will use to determine which social organizations receive recognition and thus freedom from Harvard’s social group penalties. Specifically, the plan details three new tiers of recognition—each with different responsibilities and privileges—that the Office of Student Life can confer on student groups. The document also announces administrators’ plan to form a new “leadership council” comprising students who head recognized social groups. This all-volunteer council will “support and inform” the development of other social organizations, according to the plan. Associate Dean of Student Engagement Alexander R. Miller said in the interview the council may help determine which of the three tiers social groups vying for recognition ultimately achieve. The College’s sanctions—which took effect with the Class of 2021—bar members of unrecognized single-gender social groups from holding student group leadership positions, varsity athletic team captaincies, and from receiving College endorsement for prestigious fellowships. The policy released Thursday mandates “local governance and autonomy” as a requirement for College recognition; and Miller said in the interview Wednesday that the College will specifically review the role of graduate boards. 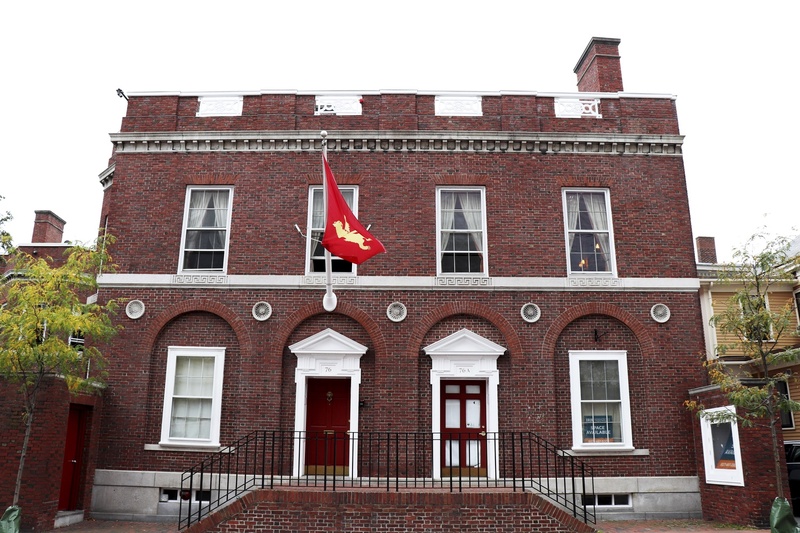 This scrutiny could pose a hurdle for some of Harvard’s unrecognized final clubs, should they seek recognition—The Crimson reported in 2015 that some clubs’ graduate boards play an active role in determining the groups’ policies and membership. Groups in all three tiers will have to submit gender breakdowns of their membership to the College in order to gain recognition, per the document announcing the plan. Social organizations will not have to release names of members nor any other identifying demographic information, according to the document. The Crimson previously reported Harvard was considering requiring gender demographics as a condition for recognition. In the months following the official debut of the sanctions in May 2016, several formerly single-gender social organizations adopted gender-inclusive membership policies. To date, at least seven have done so, including the Fleur-de-Lis, the KS, the Aleph, the Oak Club, the Sab, the Seneca, and the Spee Club. The final recognition plan breaks once and for all with some social group members’ belief that, in order to be free from the sanctions, all their organizations need do was adopt gender-neutral membership practices. In addition to providing membership breakdowns, social groups will now have to submit “governing documents” to the College in order to gain recognition, Miller said in the interview Wednesday. The College will in part use these documents to decide whether groups have “local autonomy”—meaning the group makes “all policy decisions without obligation to any parent organization, national chapter, or charter, and without direction, interference or pressure from any such entity,” according to the document outlining the new recognition framework. Miller in particular said the College will explore whether graduate boards exert too much influence. He said he plans to hold conversations with social groups about the role their graduate boards play before granting the organizations recognition. “I would probably want to know and understand better how it’s laid out in the constitution or governing documents they submit versus how it plays out in practice,” he said. Miller said that, when graduate boards become too directly involved in the day-to-day operations of social groups, it crosses “that hard line where we don’t want students to go with these organizations.” He suggested that, in an ideal situation, club graduate boards would serve a “simply advisory” role. Graduate boards at some final clubs have historically helped shape both the long-term vision and, at times, the mechanics of daily life in Harvard’s social groups. In one example, the historically all-male Fox Club’s graduate board in fall 2014 blocked an effort to go co-ed spearheaded by some undergraduate members. Reverend Douglas W. Sears ’69, the then-president of the group’s graduate board, said at the time any “major” changes would need approval or consultation from the club’s graduate board. As undergraduate members of single-gender final clubs have negotiated the decision whether to go co-ed in the wake of the sanctions, members of club graduate boards have proved powerful and outspoken allies—particularly for those hoping to resist the penalties. 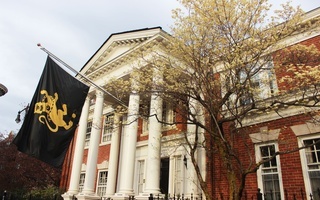 The historically reserved all-male Porcellian Club sent a highly unusual statement to The Crimson criticizing the sanctions in April 2016 and also commissioned a statistical report scrutinizing the College’s policy. More recently, some graduate club leaders have helmed an effort to lobby against the penalties on Capitol Hill. The plan's mandated examination of social groups' local governance and autonomy could also affect campus fraternities and sororities' relationships with their national chapters. Each of the three Harvard Greek organizations that went gender-neutral in the past two years—the Aleph, the KS, and the Fleur—disaffiliated from their national umbrella organizations (Alpha Epsilon Pi, Kappa Sigma, and Kappa Kappa Gamma, respectively) as part of that process. The three categories of College recognition outlined in the new policy comprise “Interim Recognition,” “Full Recognition,” and “Recognition with Distinction.” Each comes with a different set of requirements and benefits granted by the College—and each ensures member groups are exempt from the sanctions. Interim Recognition forms the “minimum standard of recognition” for all social groups. To enter this tier, groups do not need to adopt gender-neutral membership policies by the time they apply for recognition, but they must demonstrate a commitment to going gender-neutral down the road. Groups in this tier will gain College recognition and freedom from the sanctions for one year, with an option to extend their interim status for another year if necessary. Following the completion of the interim period, groups can apply to advance to the next tier, Full Recognition. 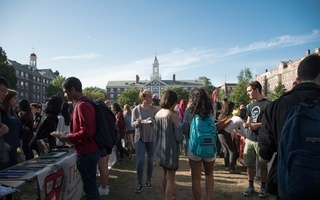 In exchange, groups will receive “priority access” to Harvard-controlled spaces including the Cambridge Queen’s Head Pub and the Student Organization Center at Hilles, “access to on-campus spaces for events and for meetings,” and College “support of recruitment” as well as eligibility for “leadership development programs,” according to the plan. Groups in this tier will also earn access to certain College resources including “event advising and planning” and “finances and fundraising management,” the plan reads. Second, organizations in the third tier must offer a program for members that “reduces financial barriers to participation.” Finally, these groups must partner with the College to offer “yearly programming which substantially advances the group’s understanding and behavior” around topics like sexual assault prevention and alcohol and drug harm reduction strategies. 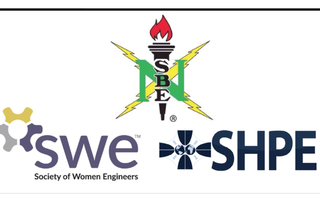 In exchange, highest-tier groups will receive all benefits accorded to organizations falling in the Full Recognition category, plus additional privileges including eligibility for College-awarded “additional financial awards… to support select events,” per the document. These groups will win an “award of distinction” from Harvard during the student leadership awards held each spring, according to the plan. In the Wednesday interview, Miller said groups that achieve this tier will be those that go “above and beyond” in their efforts to comply with the College’s policies. Miller said the financial awards the College will grant to groups in this tier “won’t be substantive” but will be enough help groups reach “a more diverse, inclusive kind of membership.” He said he does not yet know the specific dollar amount for these awards. Groups in any of the three tiers will be required to hold recruitment processes that are open to the entire College student body, Miller said. In order to gain College recognition, groups must file an “initial submission of materials” by August 15, 2018 and must hold an “in-person meeting” with College administrators “at the beginning of the fall term,” per the document detailing the plan. An earlier draft version of this plan, obtained by The Crimson and outlined in an email sent to leaders of some social organizations by a College administrator, also included a three-tier system for determining the level of privileges allotted to student social groups. The draft version of the plan did not discuss requirements pertaining to local governance and autonomy, though it did detail the now-mandated gender breakdowns. In the Wednesday interview, Miller said the College will not decide whether to recognize groups solely based on submitted gender demographics. “What we will do is use this as an opportunity to better understand how they are being inclusive,” he added. Referencing the fact that groups do not need to go gender-neutral to achieve the lowest level of recognition, Miller said the new plan is designed especially to entice groups that are currently single-gender to begin collaborating with the College. “We… understand that there are groups who are currently single-gender and so that’s why we were thoughtful in our processes to really give an account of groups who currently are single-gender but are interested in gaining recognition and also going gender-inclusive,” he said. In pursuing recognition under the new framework, groups across all three tiers will interact primarily with the Dean of Students Office—a new office that will oversee residential life, diversity and inclusion initiatives, student experience, and student advising for the entire College starting in July. Miller said he sought input from five to eight social groups interested in gaining College recognition as he worked to craft the plan announced Thursday. He declined to give the names of the groups. President of the Aleph David P. Cohn ’19 wrote in an emailed statement that the Aleph is one of the groups that worked with Miller in developing the new framework. President of the Fleur Tiana M. Menon ’19 similarly wrote in an emailed statement that the formerly all-female group worked with the College on the policy and plans to apply for recognition under the new framework. In particular, the 2017 report recommended groups seeking recognition should outline to the College their “plans to achieve diversity” and “processes for open new member selection processes”—two disclosures now required under Thursday's plan. In the interview Wednesday, Miller discussed the probable role of the student-composed leadership council the College plans to form. Dubbed the Social Organization Leadership Council, the group will have some involvement in helping determine what tier social groups seeking recognition achieve, Miller said. He said he does not yet know to “what degree” students on the council will weigh in on that decision. “There would be some student involvement in the recognition process,” he said. The council will also collaborate with College administrators to “assess the impact of this recognition process during the 2018-2019 academic year,” per the policy announcement. 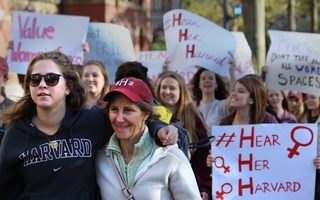 In her email, O’Dair wrote that the plan announced Thursday represents a significant step forward in promoting “values including belonging, inclusion, and non-discrimination” at Harvard.